Let the collections at La Chascona and CloseUp Chile capture your imagination. 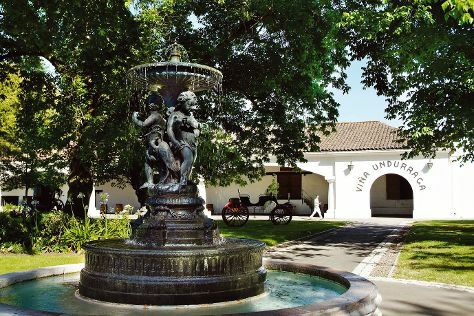 Your cultural itinerary includes sights like Vina Undurraga and Santa Rita Winery. Get out of town with these interesting Santiago side-trips: Concha y Toro (in Pirque), El Ingenio (in San Jose de Maipo) and Hacienda Picarquin (in Rancagua). The adventure continues: browse the eclectic array of goods at Central Market (Mercado Central), buy something for everyone on your list at Costanera Center, stop by Patio La Rosa, and learn about winemaking at Cousino Macul. To find more things to do, where to stay, reviews, and other tourist information, read Santiago tour itinerary planner. If you are flying in from Brazil, the closest major airport is Comodoro Arturo Merino Benítez International Airport. Finish up your sightseeing early on the 21st (Sun) so you can travel back home.